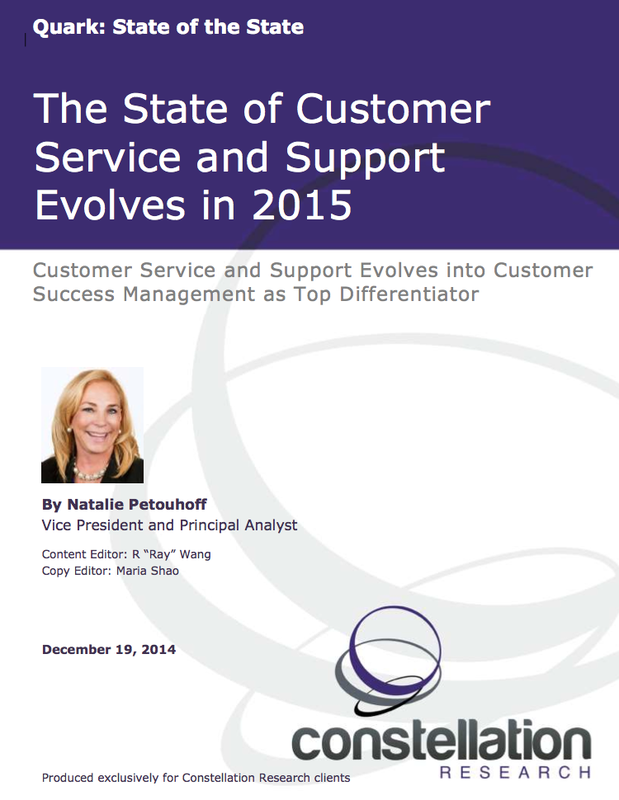 The State of Customer Service and Support Evolves in 2015 | Constellation Research Inc.
Constellation’s research team delivers its inaugural series on the state of the state. The state of the state research explores the impact of digital transformation, next-generation customer experience and matrix commerce from a systems perspective. It takes into account the political, economic, societal, technological, environmental, and legislative points of view. This research report explores a key area – customer service and support. This report identifies the political, economic, societal, technological, environmental, and legislative trends affecting customer service and support.